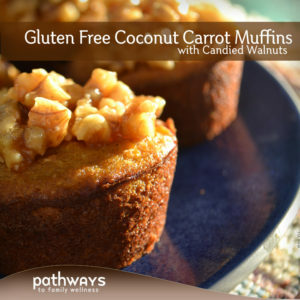 Made with whole ingredients and no processed flours or sugars, this recipe is paleo friendly and gluten-free. 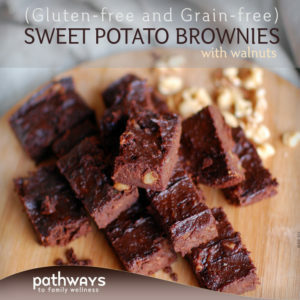 We made these as a dessert, but I’d say they’d make a nice snack or breakfast option (especially with a less amount of sweetener in them, or none!). Serve topped with whipped cream, a homemade cream-cheese frosting, or just some good old fashioned grass-fed butter. We only used 1/4 cup maple syrup and dark chocolate chips and the kids ate them up. Some said they would prefer a sweeter chocolate chip, but not me, give me the darkest you can find and I’m happy. Served with a tall glass of milk and you’re set. 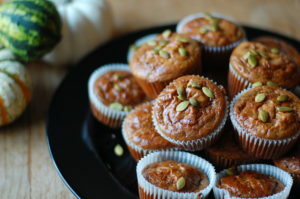 Since we had recently bought so many pumpkins, we couldn’t resist ditching the canned stuff for the fresh version (of course you can substitute canned pumpkin puree if you don’t have fresh pumpkin). The key, I think, is the spices in this recipe. 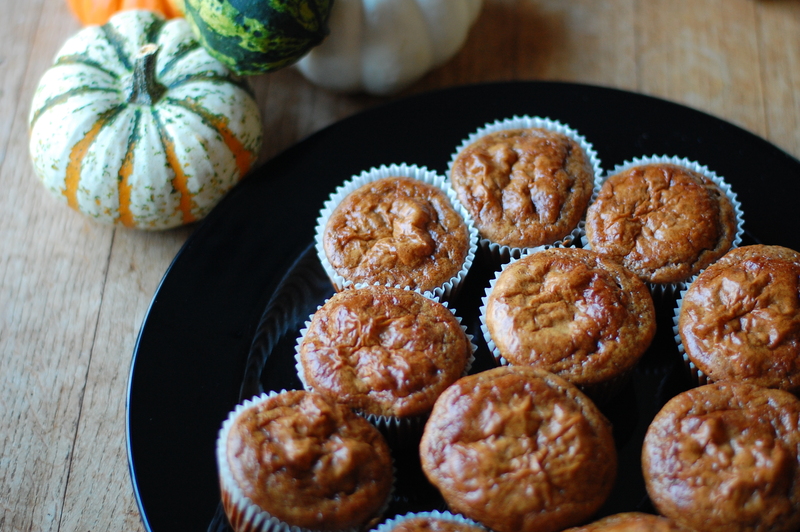 It brings out the best of the pumpkin, and makes this a seasonal treat. Don’t have muffin pans? 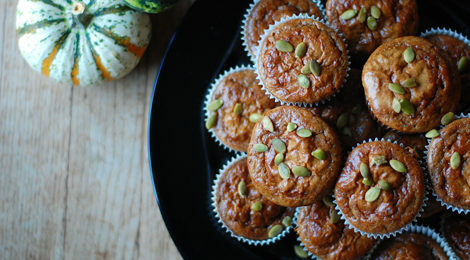 No biggie; bake just as a regular pumpkin bread in a loaf pan. Next time, I plan to make multiple, store in the freezer and have on hand at all times. Yes, it was that good. Don’t know what to gift a friend or family member? Not sure what to bring for Thanksgiving dinner? This could be a great addition for everyone to enjoy. 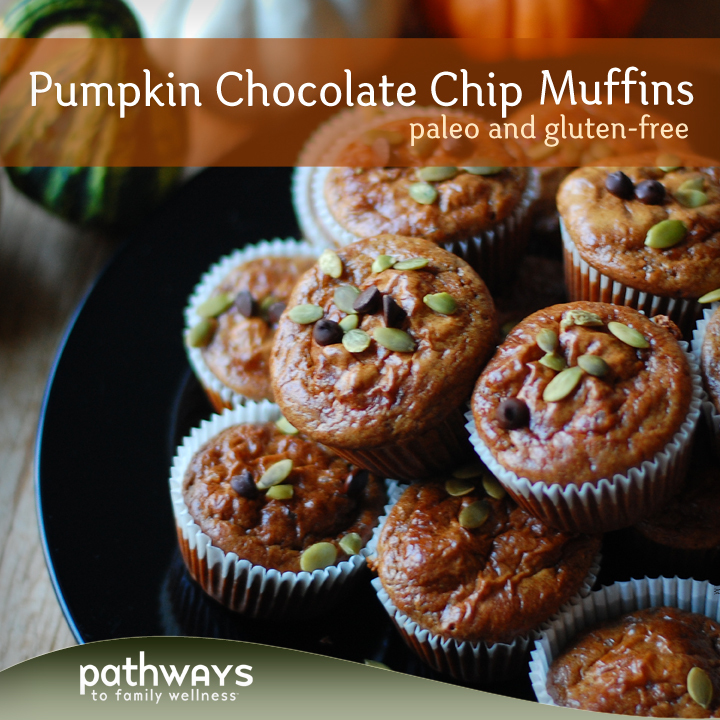 **Since the batter is rather thin, the chocolate chips tend to sink to the bottom of the muffins. This was fine, you just had a chocolatey bottom rather than chocolate dispersed well throughout each muffin. To eliminate this problem, you can simply put cacao powder in the mix to make the whole thing chocolately goodness. Cook your pumpkin (if using fresh) in 350° oven for about 30 minutes with some coconut oil until soft. Allow to cool and remove skins. Mash pumpkin at the bottom of a mixing bowl and mix in your other wet ingredients: eggs, nut butter, coconut oil, vanilla, and maple syrup if you use it. In a separate smaller mixing bowl, combine all your dry ingredients: almond flour, baking soda, baking powder, and spices. Mix. Pour your dry mixture into your wet mixture and mix well. This will be a liquidy batter, but don’t worry, it rises well. Add your chocolate chips or cacao, and seeds (if using) and mix. Pour into greased muffin pans, filling about 3/4 way to the top. If you have chocolate chips, try to scoop them using a spoon to evenly distribute into each muffin pan. Bake at 350° for about 30 minutes or until a toothpick is inserted and removed clean. 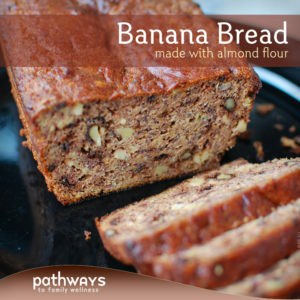 If you are baking in a loaf pan, this may take more time (up to 50 minutes). Serve warm, refrigerate, or freeze for later.